If you've read this blog long or know me personally, you know I have a deep love for Texas. It's where I grew up, and it will always be home. We call it the motherland around here, and though we are loving this military adventure around the world, we can't wait to put down roots in Texas one day. Seeing the devastation in Texas and parts of Louisiana from Hurricane Harvey has been just that... devastating. I scrolled through Facebook and news articles last week in shock at just how powerful this storm became. I read an article titled "Toddler clings to drowned mom"... there are just no words. I just can't imagine the horror. People lost lives, everything they owned, pets, and the list goes on and on. My parents and sister live just north of Houston, and thankfully they are all okay. South Houston is a different story. Scrolling through the images of flooded homes and streets, it's hard to fathom how any good could ever come from a situation like this. There is one positive thing I am taking away from all of this devastation and heartbreak. For the first time in what felt like a long time, people seemed to be turning towards each other rather than against each other. 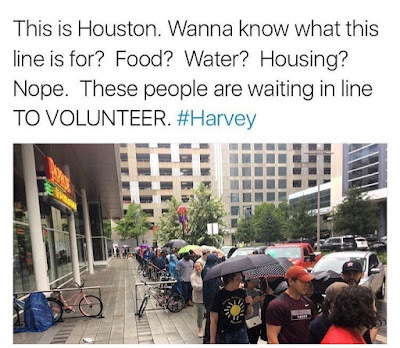 Hundreds of people have donated money, time, items and put their lives in danger to rescue those stranded in their homes. 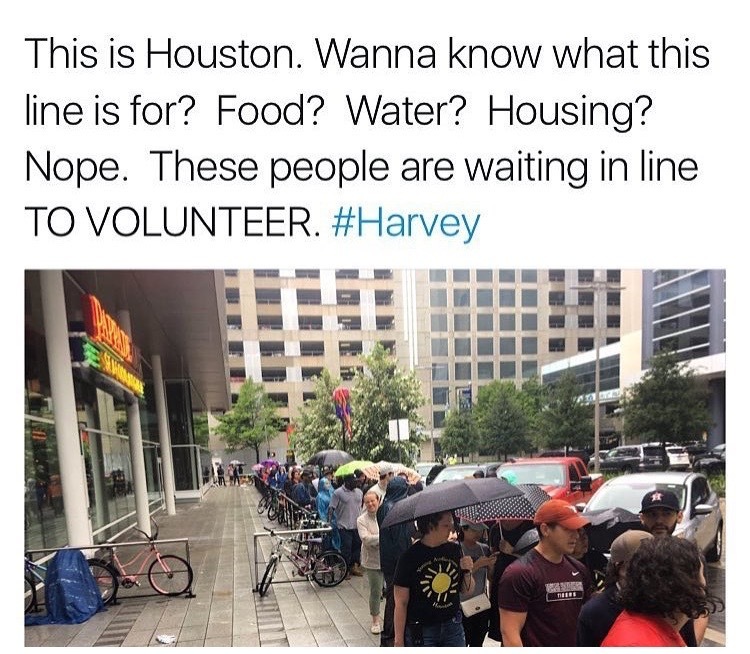 Seeing the way everyone came together to help restored my faith in humanity. Politics, religion, skin color... none of it mattered when it came down to a life and death situation. I am so proud of how everyone came together to support each other. 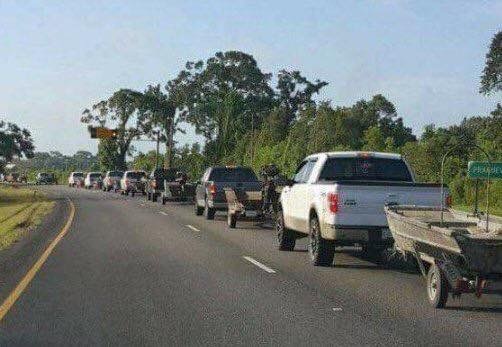 These are people driving down to Houston from other cities with boats to assist in rescue efforts. Many spent days in the flooded city rescuing people and animals who were stranded. The devastation is absolutely terrible but seeing how everyone has banded together is amazing. I'm so glad that your family is okay! I'm glad to hear that your family is okay! Last spring my brother-in-law's house in Louisiana flooded due to devastating rains, so this year after Harvey he took his boat over to help out as a way to repay those who helped him.